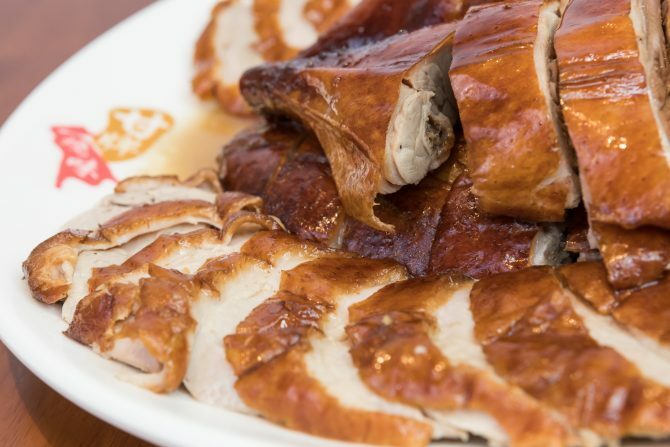 Frequent travellers to Hong Kong would likely know of Kam’s Roast Goose, famed for its roasted goose and meats – Singaporeans are known to bring back their signature roasted goose, and cured sausages as gifts and treats for the family! Well, Kam’s Roast has just launched its second outlet at Jewel Changi Airport! 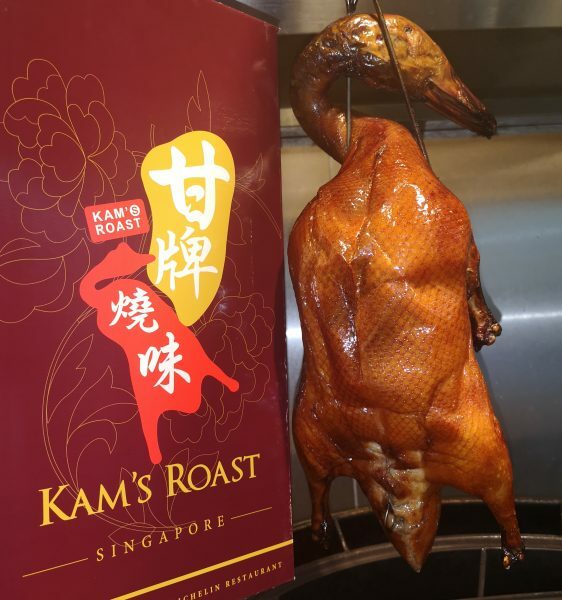 While Kam’s at Jewel Changi, just like its Pacific Plaza outlet, will not serve roasted goose, worry not! There is a wide variety of equally tasty roasted meats to enjoy, including roasted duck, and cured sausages. If you’re hurrying to catch a flight, consider getting the Roast Duck Travel Gift Pack ($60+), an exquisite, sealed pack which comprises the restaurant’s signature roast duck; a perfect gift that you can bring along on your flight. 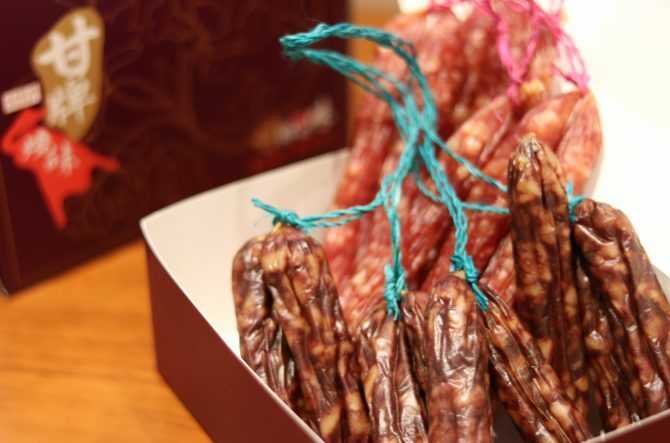 The cured sausages ($25+ per box) — lean pork or goose liver — are also available in boxes so that you can enjoy them back at home or gift them as souvenirs. We think that they would be perfect in homemade chicken rice, or even to jazz up a simple fried rice! Plus, Kam’s is having a special promotions for their cured sausages, exclusively at their Jewel Changi outlet! Get 2 boxes and enjoy 5 % discount, get 4 boxes and enjoy 10% discount, get 6 boxes and above and enjoy 15% discount. Kam’s Signature Roast Duck has long been a favourite, and when we tried it, we realised why. Roasted Cantonese-style, the meat is marinated with Kam’s Roast’s time-honoured secret blend of ingredients, making it fragrant and tender. 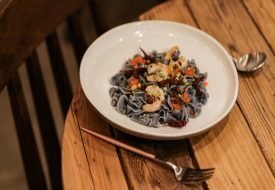 With crisp skin, and succulent meat devoid of any gamey taste, this was a dish we kept digging into! Another beloved dish that is sure to wow the crowd is the Suckling Pig, which has addictively crispy skin and a collagen-rich layer beneath. 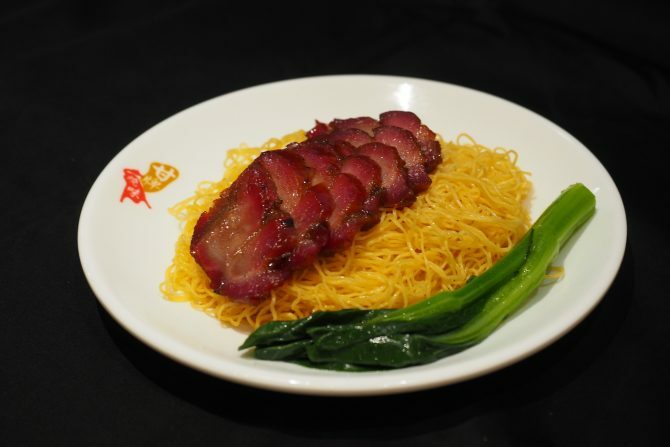 Craving for char siew? 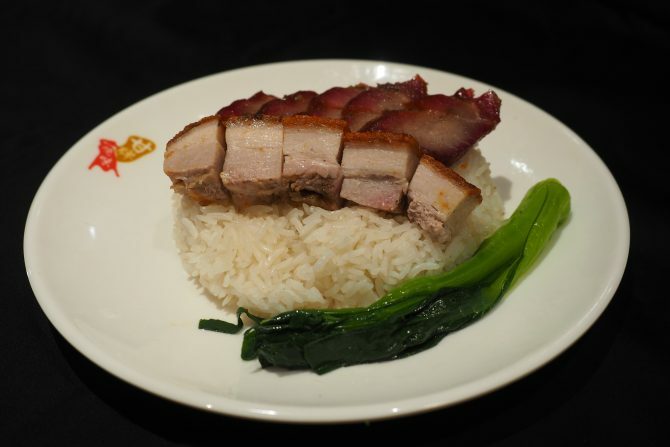 Kam’s also serves up not one, but two different kinds of char siew! Our favourite was the Iberico Char Siu, one of the restaurant’s bestsellers. Using Iberico pork, a high-quality and highly-prized meat from Spain, the pork is marinated and seasoned with a secret blend created by the Kam family, and roasted the traditional way. Savoury-sweet and with the perfect ratio of meat to fat, this paired well with the egg noodles we had. If you prefer something more indulgent, go for the Toro Char Siu! With a melt-in-the-mouth layer of fat and charred outer layer, this was a char siew we would gladly give up #MeatlessMonday for! We also loved the Roasted Pork – it was wonderfully savoury, had just the right amount of lean meat, and with an amazingly crisp top layer of skin! Kam’s is a wonderful place to bring your family – especially your grandparents – for a hearty, comforting meal of roasted meats and noodles or rice done the traditional way. To make things more attractive, Kam’s Roast is celebrating their opening by offering two promotions as well! The Lunch Takeaway Promotion (10am to 5pm) allows you to have a free upgrade of half a marinated egg and 2 slices of marinated tofu with any order of roast meat on rice or noodles; plus it’s S$1 for Cured Sausages (worth S$8.80++) with a minimum spend of S$40 for dine-in only. 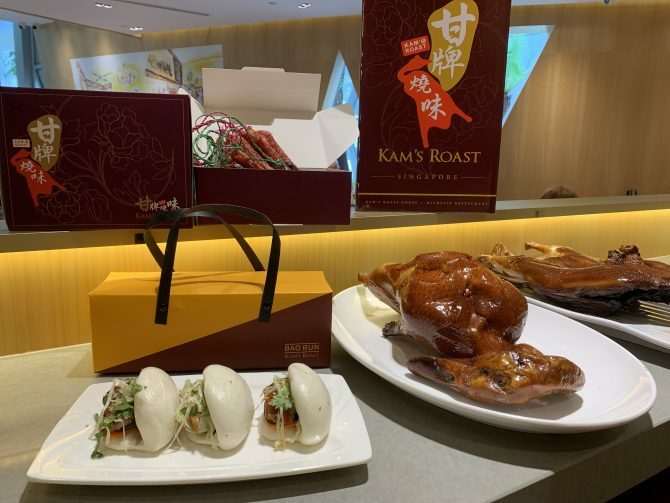 Both Kam’s Roast Pacific Plaza and Kam’s Roast at Jewel Changi will run these promotions until 26 May 2019.